There’s no “tellin” what you’ll find out here…. So I grabbed the trusty ol rake and hit the crisp, chilly water (but only up to my ankles, since the water was ICY). I thought about putting on the wet suit, but it would have taken me 20 minutes to squeeze the thing on and like I said, daylight is precious right now. No time to waste. So ankle deep it is. Not much in the way of big shells at the spot we picked, so we decided to make it a search for minis. ..and that’s when we started finding the Tellins and Coquinas. I’m glad you asked, fine reader. I’m not “tellin”. Just kidding. Not much actually. They’re both from the same family of shells. Tellins just happen to be a little more curved around the edge, where a Coquina is more straight and flat. Tellins can also grow much larger than a Coquina, sometimes several inches larger. Coquinas tend to be a bit more colorful as well. If you happen to find them closed, check to make sure they’re fully closed. If they are, there’s a little guy in them. We’ve found that out the hard way several times before. So, can you spot the Tellins from the Coquinas? Or all they all Coquinas? Hmmm, are they all Tellins? No green flash tonight, but the Queen wanted to stay and see, just in case Will Turner showed up. 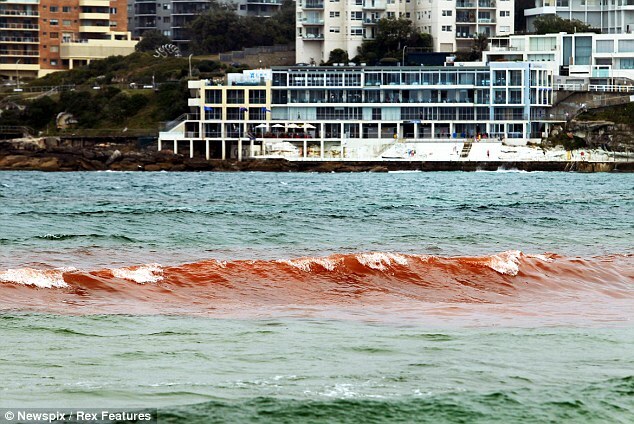 How’s this for Red Tide? 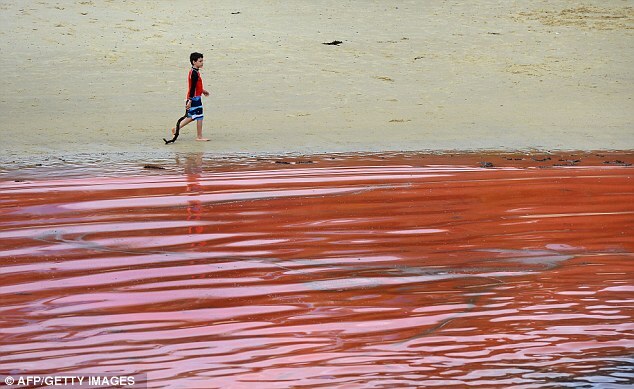 Looks like Bondi Beach in Australia got hit with a really nasty dose of Red Tide today (Images courtesy of Getty). 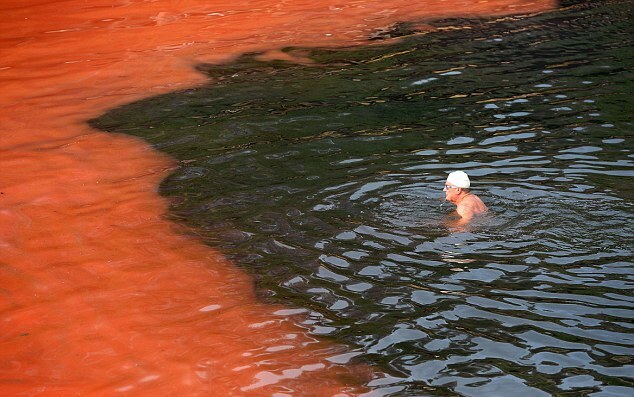 Talk about the “Red Sea”! 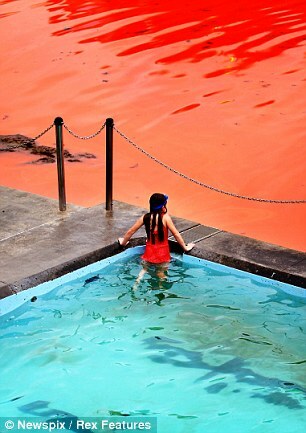 Looks like tomato soup! 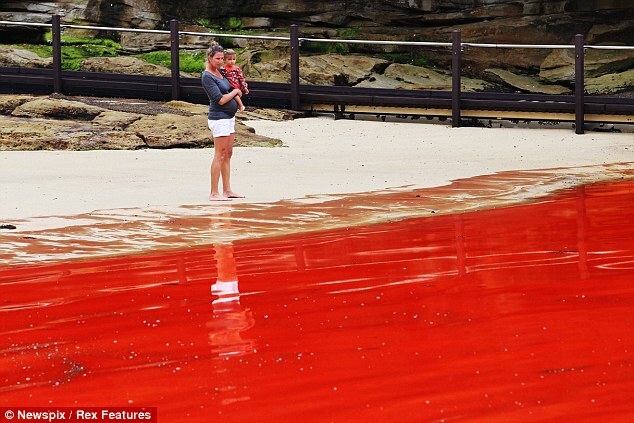 And can you believe that there were STILL people going into the water? Let’s thank our lucky stars we don’t have THAT here in Southwest Florida.